The Japan Alps consist of three volcanic ridges that run from north to south through the central and widest part of Honshu. The home of numerous hiking areas and ski resorts, and centered around Nagano, the Japan Alps are named after the famous European mountain range because they both feature rugged glacier-carved slopes and numerous peaks over 3,000 meter. With the exception of Mt. Fuji, which is further east, the highest mountains in Japan are located in the Japan Alps. Numerous streams running through the plateaus and between the mountains have carved out lovely gorges and ravines. Thick-wooded forests occupy the lower slopes, and of alpine flora and rugged rocky walls occupy the higher slopes. The Hida Mountains, or Northern Alps, is a Japanese mountain range which stretches through Nagano, Toyama and Gifu prefectures. The Northern Japanese Alps is a major mountain chain slicing through the heart of Japan north to south. A number of Japan's most awesome peaks lie in this popular mountainous region, which is loved by climbers. Several 3,000-meter-high rocky peaks rise from the Hotaka Mountains as if taking turns piercing the sky. The two most popular climbing mountains, Mt. Yari and Mt. Hotaka are difficult to climb. In the past 30 years over 500 climbers have died trying to reach their summits. Yari means "spear" in Japanese and the dangerous hike to top of this mountain takes three days. The ascent of Hotaka, the third highest mountain in Japan, isn't as difficult. At the top you can often see eagles riding the thermals. Still people have died climbing it. The route from the Hotaka Mountains to Mt. Yari is revered as one of the most difficult traverse routes in Japan. The Kita Alps are well-travelled in the summer months and series of comfortable mountain huts, similar to those in the Alps, are well-spaced, staffed, and equiped to accomodate the throngs of Japanese hikers during the peak summer months. Mt. Oku-Hotaka (3,190 meters) , the highest of the the group, sits at the south end of a knife-ridge which connects to the famous Yarigatake (3,180 meters) mountain, aprx. 6 miles to the north. Other prominent peaks in the Hotaka massive are: Mae-Hotaka (3,090 meters), Nishi-Hotaka (2,908 meters) Kita-Hotaka (3,106 meters), and Karasawa Dake (3,110 meters). The Japan Alps are truly remarkable and beautiful and a developed infrastructure allows easy access. At the base of the Hotaka massive, sits the resort town of Kamikochi in the Azusa River valley. The peaks are the centerpiece of the Chubu Sangaku National Park. Alpinists relish the challenge of ascending the mountains from the western slope, which is a sheer, massive rock face. Over the years, the steep cliffs have claimed the lives of many mountaineers. At a height of 3,180 meters, Mt. Yari (Yarigatake) has a sharply pointed summit that is shaped like a pyramid and is located in the northernmost of the group of the rocky peaks. Mt. Yari is Japan's fifth-highest peak, and called“the Japanese Matterhorn”because of its shape. Mt. Yari is so popular that it is a summit that nearly everyone aspires to climb at least once. During the summer climbing season, alpinists form a long queue waiting for their turn to summit Mt. Yari. Climbing Mt. Yari and Mt. Hotaka is very popular among Japanese and foreign climbers and was one of my dreams. Tateyama-Kurobe Alpine Route is 90 kilometer route that is broken into nine sections and includes rides on cable railways, a highland bus, a cable car, and a trolley bus. It starts in Toyama and finished in Shinano-omachi (It's also possible to do trip in the reverse direction), and stops at Kurobe Dam. The entire journey costs about ¥11,000. 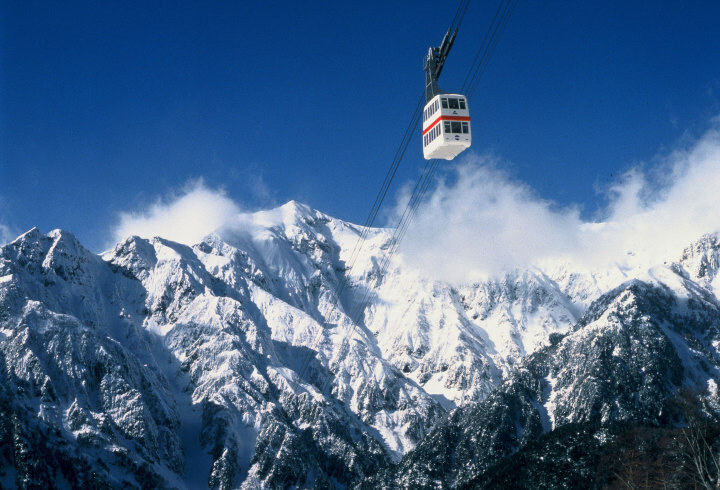 Tateyama Mountain is considers one of Japan's three holiest mountains along with Mt. Fuji and Mt. Haku and is comprised of three peaks: Oyama, Onanjiyama, and Fujinooritate. The highest is 9,892 feet. Climbing the mountain has traditionally been regarded as means of purifying the soul. For many years it was off limits to women and was climbed by 15-year-old boys to prove their manhood. Among the mountains of the Japanese Alps, Tsurugi-dake is maybe the most famous among experienced hikers. The reason for this is the rather difficult and exposed ascent that is possible for the average hiker only with the help of many chains, nails etc. The normal approach to Tsurugi-dake is to take the train, cable car and bus route from Toyama to Murodo. From there it is a few hours hike to the base of Tsurugi-dake. On the way, you pass the sulfuric springs that feed onsen in many of the huts in the area. 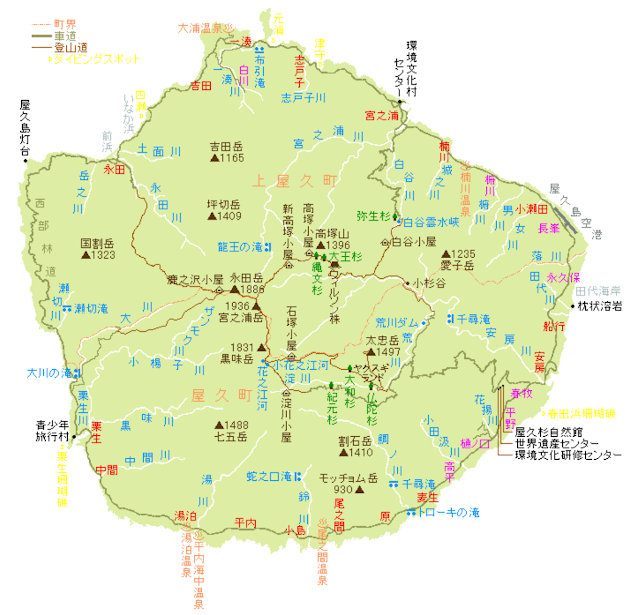 Tsurugi-dake is located in the eastern area of Toyama Prefecture, Japan. It is one of the tallest peak in the Hida Mountains at 2,999M. Based on peakery data, it ranks as the 1st highest mountain in Toyama and the 17th highest mountain in Japan. It is one of the 100 Famous Japanese Mountains, and is called "the most dangerous mountain" climbable. Before attempting this mountain make sure you have some experience and take appropriate safety equipment. Having said that the trail up to the summit is steep but good fun and you get a real sense of accomplishment when you make it to the top. If you have only time for one area of the outdoors to explore during your stay in this country, you can’t go wrong by choosing one of the many choices the Northern Alps has to offer. I'm planning on taking the Yari-Hotaka traverse and Tateyama/Tsurugi-dake Circuit Trek in the Kita Alps this summer, it's﻿ gonna be exciting! !.